RevitCity.com | Need to save time on Healthcare Families? Forums >> General Discussion >> Revit ROI >> Need to save time on Healthcare Families? Tue, Jul 9, 2013 at 4:44:37 PM | Need to save time on Healthcare Families? I need some feedback on some families I've created. My link is below. Sorry, images only, not looking for feedback on modeling techniques. Just interested how useful creating a healthcare revit library is. Link below my signature. Any feedback would be appreciated! Thanks! I may even upload one or two of these if the responses are good! Tue, Jul 9, 2013 at 5:46:48 PM | Need to save time on Healthcare Families? "Just interested how useful creating a healthcare revit library is"
Thu, Jul 11, 2013 at 3:15:08 PM | Need to save time on Healthcare Families? I showed a couple models off to a CEO of a hospital the other day. He and his team got pretty excited at the idea of seeing all that equipment in color instead of a bunch of "square lines" everywhere that they normally see on plans. I've had hit and miss experiences with different CEO's though. You're right though, some don't care, they just want a price. Thanks for the input teafoe! Fri, Jul 12, 2013 at 9:37:21 AM | Need to save time on Healthcare Families? Your revit families look very precise and realistic. I am sure that a few architectural offices / hospital planning firms will find them useful. Mon, Aug 5, 2013 at 9:51:00 PM | Need to save time on Healthcare Families? I posted a microscope model I'd been working on if anyone is interested. Mon, Sep 23, 2013 at 12:33:38 AM | Need to save time on Healthcare Families? Latest Rendering is up in the Gallery. Consulting Room, check it out and please give me feedback! Thanks! Fri, Sep 27, 2013 at 5:52:56 PM | Need to save time on Healthcare Families? Man, your wheelchair model is amazing! How long did that take? Fri, Nov 8, 2013 at 10:49:22 PM | Need to save time on Healthcare Families? New ICU unit is up, ready for download! Sat, Dec 7, 2013 at 5:58:10 PM | Need to save time on Healthcare Families? Just posted the latest PICU room. Sport oriented for the kid who likes the Bulls, Bears, Giants, Yankee's or whatever sports team is their favorite! Tue, Jan 14, 2014 at 6:49:47 PM | Need to save time on Healthcare Families? Keep this stuff coming! Amazing! Thu, Mar 20, 2014 at 4:27:54 PM | Need to save time on Healthcare Families? Just downloaded a model of yours. Pretty nice, keep up the good work! Sat, May 17, 2014 at 9:07:47 PM | Need to save time on Healthcare Families? Thanks Don! Latest models have now been uploaded! Enjoy! Tue, Jun 3, 2014 at 2:52:34 PM | Need to save time on Healthcare Families? Any chance you'll put the revit models of the entire rooms online too? Sat, Nov 8, 2014 at 5:22:33 AM | Need to save time on Healthcare Families? I am doctor and I like your heathcare ideas. We require some blanket warmers, x-ray film viewbox. Can I contact you? Mon, Nov 17, 2014 at 7:18:34 PM | Need to save time on Healthcare Families? Absolutely. James does most of the contract work. UPDATE: Looks like he already got to it. 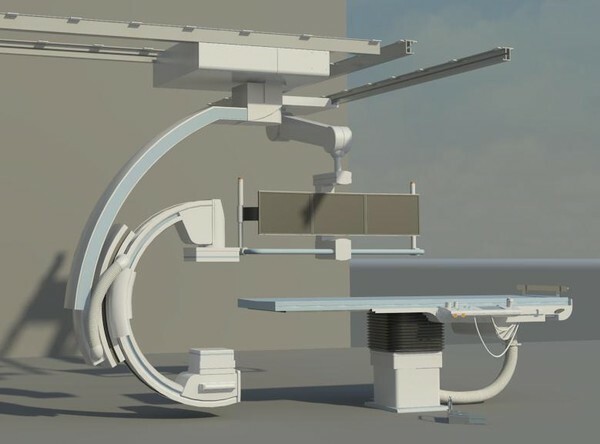 Complex Healthcare Projects - Can Revit do their equipment schedules too?